Becoming a parent for the first time can be a daunting time in anyone’s life – Royal or not. In honour of the pending arrival of Prince Harry and Meghan Markle’s first baby, due in April, The Kensington has once again partnered with Sarajane Ambrose, Founder of the UK’s leading nanny and maternity nurse agencies, Kensington-based Imperial Nannies and Maternally Yours. New or expectant parents can now book in for a two-hour session with Sarajane, so she can guide them through everything they can expect when it comes to parenthood. Sarajane will offer her expert tips, enjoyed over The Kensington’s delicious new ‘London Landmarks’ Afternoon Tea. Sarajane has encountered countless parents since she founded her agencies back in1996 and is an expert at pairing high calibre nannies and maternity nurses with discerning families. She is also a mother of four children and has plenty of practical experience. The two-hour session is available to hotel guests of The Kensington and prospective parents alike. Sarajane will offer tips on everything from furnishing a nursery and which products to avoid, to preparing for birth and delivery and how to adjust to life with a new baby. The package is exclusively available at The Kensington and sessions will include the hotel’s brand new Afternoon Tea, which takes inspiration from London’s most recognisable and historic landmarks. Guests will be taken on a tasty foodie tour of some of the capital’s most famous architectural feats, in the opulent surroundings of Town House restaurant. The new Afternoon Tea is presented on a London Eye-inspired tea stand and is served alongside a beautiful bespoke map of London, illustrated by Eleni Sofroniou, highlighting the landmarks featured in the tea. Starting with a skyline of scones and sandwiches, guests will also enjoy a selection of savoury treats including a cockney staple Steak & London Ale Pie and a Colston Bassett Stilton & Broccoli Quiche alongside a bite-size Crab Cake with Tartare Sauce & Caperberries. Those with a sweet-tooth will delight in London Landmark creations including ‘The Gherkin’ crafted from White Chocolate with a Dark Chocolate Ganache, ‘The Shard’ made of Carrot Cake & Milk Chocolate, an iconic ‘London Telephone Box’ imagined in Rhubarb Mousse and a ‘Big Ben’ inspired Lemon Curd Tart. A gluten free and vegan version of the tea is also available upon request. Town House is the signature restaurant at The Kensington hotel and is spread across three classically designed drawing rooms, serving locally-sourced, seasonal modern British cuisine. 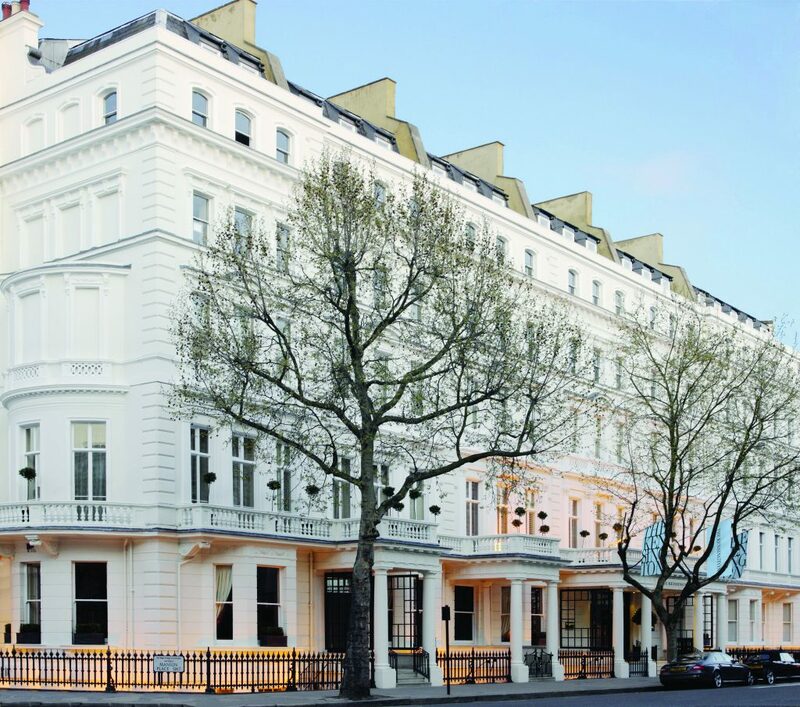 Nestled in the heart of one of London’s most desirable neighbourhoods – complete with stylish décor, hand-picked furnishings and open fireplaces – Town House also provides intimate porticos overlooking South Kensington’s tree-lined avenues. Kensington is one of London’s most affluent and exclusive neighbourhoods – home to the monarchy at Kensington Palace since 1689 and the official ‘royal borough’ since 1901.